While many families face hardships, there are times when the experience of a qualified Tacoma Family law lawyer is needed. When serious matters come along, there is no substitute for the skill and knowledge of Tacoma family law attorneys who will fight to protect your rights. This is especially true in cases involving divorce, domestic violence, property division, child custody, or spousal maintenance. Our skilled Washington State family law lawyers can help you through these difficult times by working to ease the stress associated with these emotionally charged situations. Our Tacoma family law attorneys have seen firsthand how these matters can affect the lives of everyone in the family for years to come. The decisions you make now can benefit your family, but it’s important to get sound legal advice from someone who cares about your situation. Your search for a family law attorney in Tacoma starts with a free consultation where you can start getting some realistic answers about your particular set of circumstances. 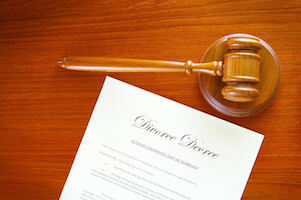 Our Tacoma family law attorneys have decades of combined experience handling Washington State divorce law, and simply talking to them can alleviate much of the stress you are currently facing. A brighter future starts by exploring your legal options, understanding how the law will affect you and your family, and developing an effective plan to achieve future goals. It’s important to keep in mind that Washington State family law maintains a focus on what is “best” for the children. Unfortunately, a Washington State judge cannot truly know what’s best for a child without actually living with them on a daily basis. This means that while the court’s efforts to do what’s best for the child are well intentioned, the end result may leave you feeling unhappy. This underscores how important it is to have a family law attorney in Tacoma who will fight for your legal rights and protect the future of your children. Our Washington State family law lawyers believe that no one knows your family better than you, and will seek to everything legally possible to help you achieve your goals. You can start getting a handle on your situation today by contacting one of our legal professionals to discuss the details of your case. We will provide you with information based on the law so that you can decide if we are the right attorneys for you. Don’t take your decision lightly – building a relationship with your Washington State lawyer that is based on trust is vital for success. If you do choose one of our qualified litigators they will ensure your legal rights are protected and skillfully negotiate on your behalf.